Vancouver: Canopy, a leading forest conservation group, today announced its withdrawal from the once praised Canadian Boreal Forest Agreement (CBFA), endorsed by forest industry and environmental groups to protect Canada’s Boreal forest. After almost three years since the agreement was announced, not one hectare of Canada’s Boreal forest has been protected. Canopy has determined more meaningful and timely results for the Boreal forest can be achieved through its work helping to shape the paper purchasing decisions of major consumers. Launched in 2010 by nine environmental groups, the Forest Products Association of Canada (FPAC) and its 19 member companies, the CBFA established unanimous objectives for large-­‐scale protection and world-­‐leading forest practices and positioned Canada’s forest companies to take advantage of the growing green marketplace. In nearly three years of difficult work, the participating groups have been unable to agree on one joint recommendation for protection, while virtually all conservation milestones in the agreement have been missed and target dates for the completion of agreed objectives have been repeatedly shifted. The objective of the CBFA process was to protect Woodland caribou and the integrity of Boreal ecosystems over three years. Given existing science, legislated protection of 50 to 70 percent of Boreal forest habitat is needed to ensure ecological certainty. With the arrival of the third anniversary of the agreement in May, a strong internal push among the remaining parties could result in incremental steps towards achieving a few of the original 76 milestones. Canopy, however, questions whether such outcomes will be at the scale required ecologically. Boreal forests are the world’s largest terrestrial carbon sink, storing the equivalent of 26 years of global fossil fuel emissions in the trees, soil, water and peat. Thirty per cent of North America’s bird populations rely on the Boreal forest for breeding. Canada’s Boreal forest contains 80 per cent of the world’s unfrozen fresh water and provides critical habitat for the endangered and iconic Woodland caribou. With U.S. housing starts and wood prices on the rise and strong markets emerging for new forest products, pressure on Canada’s Boreal Forest is intensifying. Canopy will be re-­‐doubling work in the marketplace to advocate for conservation of Canada’s Boreal forest and support forest industry leaders who are delivering on this objective. Scholastic, The Globe and Mail, Random House and Lonely Planet. 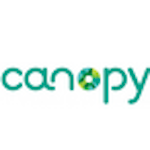 For more information, visit http://canopyplanet.org.